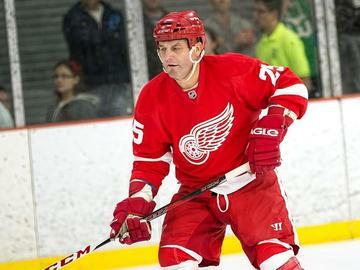 The Westland Wild Wings, lead by its captain Mayor Wild are set to take the ice again in a much-anticipated rematch against the Detroit Red Wing Alumni hockey team at the Westland Mike Modano Ice Arena on Friday, March 15th. Tickets are available for purchase at the Mike Modoano Ice Arena and City Hall during their normal business hours OR you can buy online right here. Ticket holders that order online get the added bonus of a reserved entrance so you can skip the line at the door and can get the PERFECT seat before they fill up. Adult tickets are only $10 and children 6-12 years only are only $5, childern 5 and under are free! The doors open at 5:30 P.M. to give you time to browse merchandise, buy raffle tickets, and have a snack or beer before the puck drops at 7:30 PM!